Providence, R.I. – October 20, 2017 – Johnson & Wales University (JWU) has achieved nearly $4 million in savings over four years through the implementation of energy conservation measures and sustainability initiatives across the Providence Campus. 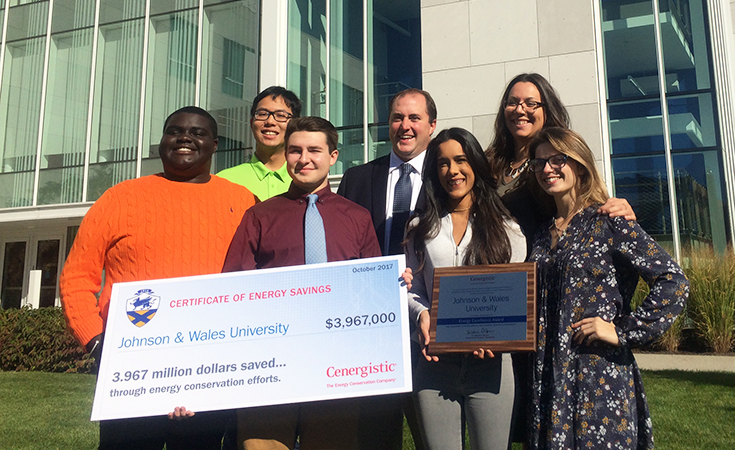 In 2013, JWU partnered with Cenergistic, a national energy conservation company, to create its Energy Conservation Office (ECO) in an effort to identify sustainable practices and educate the campus community on ways to reduce energy consumption. Savings were achieved through actions and practices such as purchasing more than 40,000 LEDs to retrofit existing lighting fixtures, rescheduling the university’s HVAC system runtimes to more closely align with building occupancy, thereby reducing greenhouse gas emissions, and, with the help of the university community, reducing plug loads.